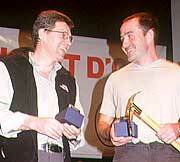 Mick Fowler and Paul Ramsden have won the Piolet d'Or 2002, the prestigious prize promoted by the French Montagnes Magazine and the GHM (Groupe de Haute Montagne) for the most important alpine achievements of the year. The British mountaineers received the award for their first ascent of the Central Couloir on Siguniang's North Face, China. The two encountered difficulties up to ED+ VII/AI6/M6 along the 1500m route, and spent 6 nights on the face and two days descending the untouched North Ridge. First ascent of the Nord Face central couloir of Siguniang, descent via the North Ridge. Length and grade: 1500m, ED+ VII/AI6/M6. Duration: 14-21 April 2002. 7 days. 6 nights on the face, 2 days descent. Demanding first ascent of NW Ridge of Ama Dablam (6856m), Nepal. Route length and grade: 2300m, with a long horizontal crest traverse at half-height. Total commitment. Duration: 12 days in 2001. Speed integral solo ascents of Cerro Torre's SE arÃªte (Compressor route) and Fitz Roy's West Face (California Roulette )and WSW Face (Supercouloir). Length and grade: Supercouloir: 1600m, VI 6a A2 AI4+., Compressor route: 900m, VI 6a+ A2 AI3+, California Roulette: 1300m, VI 6a+ WI5. Duration: Supercouloir on 17 January 2002, Compressor route on 23 January and California Roulette on 5-6 February. First ascent and descent of the South Face and East Ridge of Annapurna (8091m). The East Ridge was originally climbed by the Swiss duo Erhard Lorethan and Norbert Joos in 1984, who then descended via the 1950 North Face French route. Length and grade: 3900m. 15km ridge between 7500m-8091m. No supplementary oxygen, 3 bivouacs, total commitment. Duration: 11- 16 May 2002. Duration: 17 days capsule style with 600m fixed ropes in August 2002. First ascents of Fior di Vite, NF of Arwa Spire Central (6193m) and Capsico, NF of Arwa Spire West. Length and grade: 800m each. 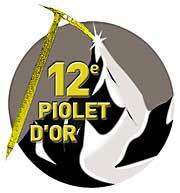 Fior di Vite V,6c,A2, 80Â°. Above: Mike Fowler and Paul Ramsden. 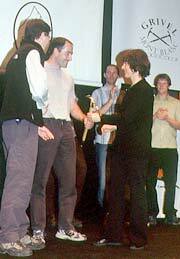 President: Paul Braithwaith, British Mountain Council.